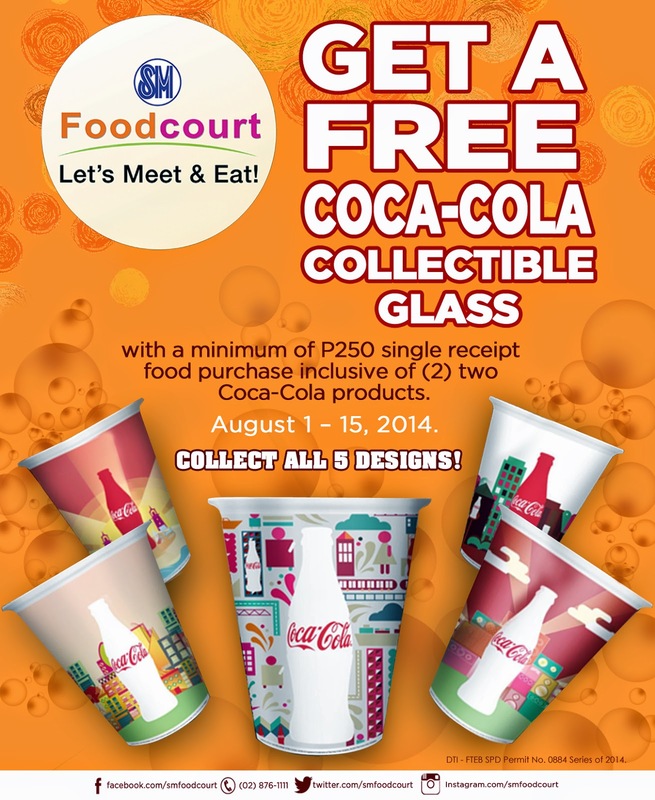 Coca-Cola is giving out a special collectible glass for a minimum of P250 single receipt food purchase inclusive of 2 Coca-Cola products. This is only applicable at SM Food Courts so after doing my usual Sunday errands, my parents (who accompanied me) and I decided to try it out and dropped by SM Taytay for lunch since it's the nearest SM Mall in the area. Availing the promo is as easy as 1-2-3. I just ordered from Sizzling Plate (my mom's choice) and was asked to proceed to a stall named Beer Station to claim my glass. And voila, that's it!